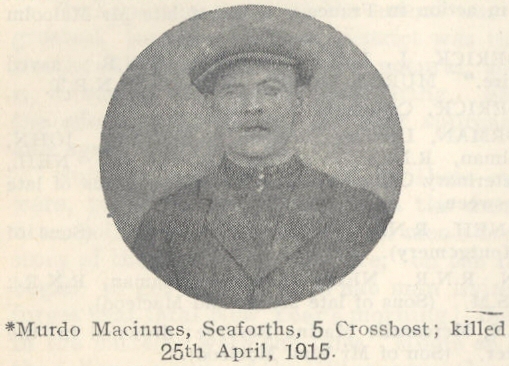 Son of Mr. and Mrs. Alexander Macinnes, of 5, Crossbost, Lochs, Stornoway. His brother Angus served in the Cameron Highlanders; Donald was in the RNR. Both these survived the war.